The Woodlands, Texas – May 18th, 2017: The Montgomery County Sheriff’s Office is seeking the public’s help in identifying an individual believed to be responsible for three sexual assaults that have occurred at the Trailpoints Apartment complex located in the 2300 block of S. Millbend in The Woodlands. On May 17, 2017, at 3:30 am, a Deputy with the Montgomery County Sheriff’s Office District 6 Patrol was dispatched to the Trailpoints Apartment Complex in reference to a sexual assault. Upon arrival, Deputies learned that a 32-year-old female woke to find a male standing near the foot of her bed with her pants partially removed. The victim screamed and chased the male out of the apartment through the sliding glass door. The suspect is described as a Hispanic male in his mid-twenties to early thirties, thin build, approximately 5’07”, with brown hair and brown eyes and wearing dark clothing. The suspect also has an accent. Evidence recovered at the scene is being processed and, based on the information from this assault and the evidence gathered from the previous assaults, it is possible that the three incidents are related. 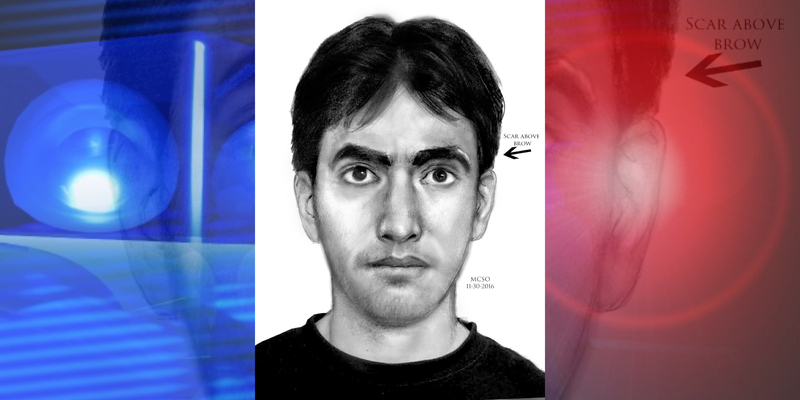 To that end, the composite drawing in the previous assault cases is being re-released. The three assaults occurred on September 16, 2016, October 13, 2016, and May 17, 2017. During each attack, the man entered the apartment through an unlocked door or window in the early morning hours. This case is being investigated by the Montgomery County Sheriff’s Office Homicide/Violent Crimes Unit. Anyone with information is encouraged to call the Montgomery County Sheriff’s Office 936-760-5876 or Montgomery County Crime Stoppers at 800-392-STOP (7867). Officials are asking the public to be aware of their surroundings and it is always a good idea to make sure all windows and doors are locked. Furthermore, they are asking the public to report any suspicious activity to law enforcement, immediately. Residents in the area will notice extra Sheriff’s patrols and increased law enforcement activity.